to the policy which lists the book collection and the appraisal. (If your medical books have already been damaged by fire or flood, contact your insurance agent to see if they will still reimburse you subject to an appraisal of the collection). Below are suggested options for donating your medical books. For medical texts of limited value, the best option may be a donation to a local thrift store which has a book section. First check with any area hospitals or medical schools to see if they can or will accept your books. First make a list and email (or mail) it to us, so that we can determine if the value is sufficient to warrant having an appraisal for income tax purposes. In many cases, even books of modest value can provide some tax reduction if you have enough of them. The fair market value of medical books is generally significantly higher than for other categories of books. If you are a physician who has been practicing for a number of years, it is likely you have a large number of older books and bound journals in your possession which you no longer need. Some of the books may be worth in excess of $100 each. Given an average value of $50.00/volume, if you have 300 volumes to donate, the total value might be approximately $15,000.00. This translates to a tax savings of about $6,000.00. If the appraisal costs $1,900.00 your net savings would be $4,100.00. (Note that this and other examples on this page are rough estimates of value and appraisal cost, and are intended only to give you some idea of how you can save money by donating your books. It’s best to ask your CPA if an appraisal of your books is cost effective for you. 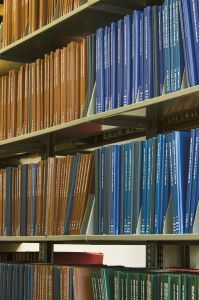 Each individual case is different, and not all medical books have a fair market value of $50.00 or more. Many are worth $10 or less.